8 months of research, 51 pages, over 140 hours of work, over 55,000 characters. The CPTP report is now officially out and is made public. 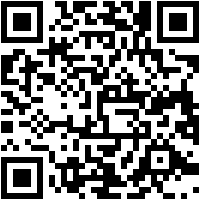 It is free and available to any person who wants to download it! This documents will surely become the "Bible" for all industry newcomers, we aim to update it each year. This is the 2014-2015 issue. For 2015-2016 we may put in new providers who exceed all standards. Already 15 downloads in 5 minutes!! I can see this report helping thousands of newbies and we are very proud of our work. Excellent report Ted, congratulations to CPD team ! I'm looking forward to read your report about the top 5 medical training providers. Thanks Maniac, we are very pleased with the report. We will consult with you for the medical report as you are a highly trained Medic. We launches the report 3 hours ago and it has had over 200 downloads already!!! Fantastic report, very well written and looks like some hard work was put in there. Ronin0033 wrote: Fantastic report, very well written and looks like some hard work was put in there. Ye we thought about ISA and also about Longmoor Group. The report will be released each year so new providers may be added and some deleted depending on reviews and situation. We were about to put Longmoor in the report but a few members contacted us and said there was big changes in Longmoor, Chris Brice and Mick Hanley left and so we didn't have enough information on Longmoor to put them in the report, we sent them an email and there was no response. Excellent work, Ted and the CPD team! 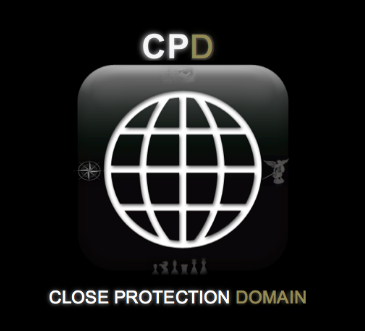 The download count on the CPD Close Protection Training Provider report is simply amazing. 711 Downloads in less than 24 hours. We have been told there is already a lot of talk about this report on various Facebook Groups. It was quite obvious this report was going to cause controversy and chitter chatter, many guys out there have trained with other TP's and will be defending their own particular TP. Its also quite obvious the training providers who weren't mentionned in the report will feel a bit sour. We had to make a choice on 10 and we did, we kept a very open mind and this forum being a British one we could have kept it 100% British but we didn't, we included Ronin South Africa, Max Security Israel, and 2 French providers. We researched this very well for 8 months, we asked all our members for information and asked them to vote, we crawled the internet to check out what people were saying and their comments, we went on the Security Advisor website and looked at the comments. We based our report on TP Reputation and even asked companies which TP they like seeing on an operator's CV. We even consulted with experts such as Rich H, the writter of The Close Protection Book, ex RMP CPU who has been in the industry for years and who we know full well is very concerned about standards and was one of the first people to stand up publicly and say "NO! The SIA standards simply aren't good enough." This report is transparent, its transparent because we don't have any sort of link to any of the training providers mentionned on the report. None of us on CPD own a TP or an operational company. You may have seen some TP's advertising on the report, well, we contacted hundreds of companies once the report was written so this bears no influence on the report itself. We contacted about 30 of the best TP's in the world prior to writing this report. 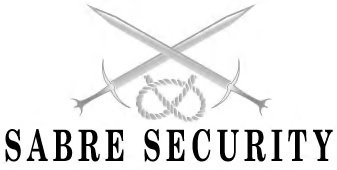 We contacted companies such as Longmoor Group, Excellentia, Ronin Concept Elite, US Executive Protection TP's. None of the above responded. We still keep an open mind and the report will be updated/changed each year and for 2015-2016 we will be keeping an eye out for new TP's exceeding standards, we will be listening to our members and operators. Can't please everyone but we tried our best to create a truthful and transparent report. Now over 1000 Downloads in less than 48 hours!!! That's great Ted, well done mate! Just checked on the report download count, now over 1200 dowloads which is an average of over 400 dowloads per day. The link is having problems tonight. Do not worry it isn't a disgruntled Training Provider that launched a DDOS attack on the file to stop people downloading, its the CloudApp website and server having problems. The direct download link is working fine today, it was just a technical problem from CloudApp. Thanks for your report. Much appreciated and good to see Perseus included. We are still managing to maintain our average of around 90% of the service leavers we train on our 28-Day CP Elite4 course, gaining quality employment from the interviews we arrange for them on the final day of the course, which is pleasing to see. Three guys from our last course deployed last Friday with A****. More than welcome to visit us anytime at our academy near Rugby. Now just over 1300 Downloads! First of all, I applaud the initiative and the willingness from someone to create this report. I’ve read the report and will make some remarks about it. I understand that some people and the author might not be please with what I will say, but I’m entitled to criticizes someone’s work, i am not slagging it off. I just would like to say that I’m in favor of higher standards in Close Protection and in every sector of the security industry, which are truly appalling in most. I was one of the few that signed Richard’s petition to the government to implement higher standards in the NOS for CP. I’ve also bought his book, if this help dissipate any possible remarks that I’m hating on someone here or against higher standards, which in fact, is what my remarks are based on, higher standards. Upon reading the report I have found it to have a slight biased approach; lack of depth considering the proposed aim of the report; unclear methodology; providing information from one TP and not from the other; unclear classification method. 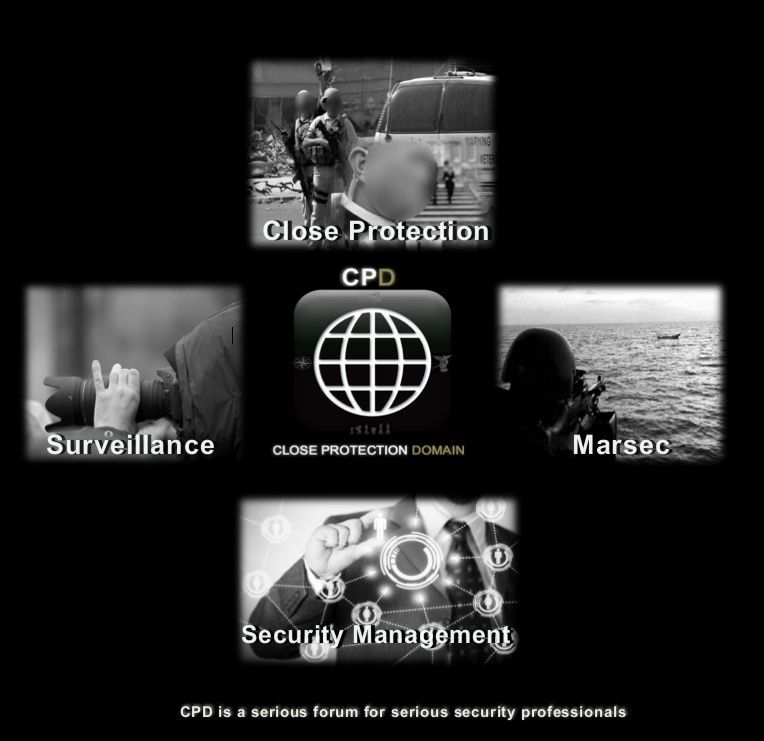 - The report suggests it will provide a list of the best 10 close protection providers in the world, however, it provides no clue or information on what the best training provider is (p.8 has a series of question that could be part of this, however it is not mentioned as such). It is unclear to me, based on this report, what assessment elements or what qualification system was used to identify these training providers as the best CP training providers. - The reports aims at finding the best 10 CP training providers in the world, however, it seems to use the UK SIA requirements and core competencies as a way to compare the standards, and if the course is delivered in English. Both have no relevant importance in assessing the best CP TP's. By default (in this hypothetic scenario) a CP course delivered by Israelis or Russian CP Instructors, in their native language to students who speak those languages would be in disadvantage in regards to others course delivered in English. By using both of those elements, this report should be based on UK CP training providers only. If a list of 10 best CP TP in the world was requeired, then those questions should not be present in the report. - The report is unclear on how these CP TP were analyzed, assessed and identified as the best ones. There is no visual information, such as graphics, to compare the training provider, and what they offer. In fact, this report has none, something atypical on a report. - Perseus Risk Management was chosen to be on the best 10 CP TP, however, this report fails to answer important question about this TP. Course contents, Selection Process, Maximum Number of trainees per course, Monitoring/Grading of trainees during the course, Instructor-student ratio. How was this TP chosen if this report does not know the content of the course delivered? Information on other TP's is partially complete, with important questions not answered. - 9 pages displayed advertisement from third parties, and one page display advertisement from the authors of the report. This report has 10 pages out of 51 with advertisement. I have never seen this in any report i've read in the last few years, and it has been many. - I find it peculiar that some phrases have been highlight in BOLD, where there is no need for it. On the “CPD Thoughts” BBA Training Academy has this in bold, when the other TP don’t? That caught my attention when I’ve read it, along with the quote “All students get free BBA Membership also.”. Also on the same subject but regarding the SGA – “SGA is one of our favorite training providers mentioned in this report”. On a report this is something that should never be present because it bring attention to that specific TP,. Maybe in a personal review, but never in a report. On top of that, this is something that is wrong in a report – “The British Bodyguard Association Training Academy is new but we chose to include the BBA TA because we know all of the BBA TA instructors and CEO’s…”. A report of this kind should not contain opinions of the authors, should be based on factual evidence, other wise it will only validate claims of impartiality and biased approach. I like the idea behind this report, however, this report raised far to many questions on the way it was commissioned. It offers not clear explanation on what exact information was collected and analyzed. The whole report methodology is not clear. How that information was transformed into the finding in this report? There are many unanswered questions in regards to vital information on some of the chosen TP’s that are essential in comparing TP’s to choose the best ones. The writing of the report cast doubts about a biased approach and favoritism, along with the presence of paid advertisement from some of the chosen TP’s. P.S. I don’t personally or virtually know anyone involved with providing CP training, the only person I know is no longer providing such courses or in the CP circuit for that matter. So this is not an attack at anyone, or taking friends sides, it’s simply my critic to this report in general. Nothing against the TP’s here, I’m not even CP trained, and two of potential choices for when I decide to enrolled in the a CP course are present in this report. To the authors, i hope you take my comments as an opinion, rather than an attack, and i hope it helps in any way possible to improve further reports. It seems you are higly concerned with standards as you were one of the first to sign Richard Aitch's petition, this makes 2 of us and something we have in common. I don't take your opinion as an attack, you are entitled to your opinion and you are actually helping to raise standards by letting us know what you would like to see on the report next time because the 2015-2016 Report will be written next year. Writing a report, putting it out and then getting only praises won't help a lot! Criticism and a kick up the backside is great. In September we got an email from a member saying he was not satisfied with CPD and was expecting much higher standards and more work from the Mod team. We told this person that if he wants he can join the mod team and also help build CPD up. You seem to be much more of an expert than I at writing reports and your expert eye will be much needed for the next reports and as you are a member and care about standards and this forum I think you will take up my offer to help writing the next reports and to help put in more meat on the bones, graphs, and all that you think is missing from this report! Two great posts. Criticism for the sake of critisizing is no good to anyone, criticism delivered in a constructive manner is helpful and can always be called feedback! If people actually take the time to read the report, it clearly states the advertisers have no bearing on the TP selection, the advertisers were contacted after the report was written and this can clearly be seen on the word version as all changes and history are present on the Word doc. No opinion was ever biased as we have no link to any of the TP's mentioned on the report. If people want to believe this report is somehow biased then they can that is fine, whichever providers were chosen we knew full well we would still have had to deal with unhappy people and comments, no matter how high the standard or quality of the TP, there will always be an unhappy TP somewhere ready to send out a friend or a past student to criticise this report because they aren't on it. Its the way life goes, we can't please everybody or be liked by everybody and thats the same with the report, we couldn't have 500 TP's on there, we had to make a choice and we did and thanks to experts such as Richard Aitch who helped us make the choice. According to some people maybe some providers shouldn't be on there and maybe some should, that is called opinions and its fine, at the end of the day we did our best trying to list the best ones based on open source information, member votes and views, various websites reviews, reputation. The advertising is what helps keep this forum alive, keeping the forum running has high costs and myself and the mod team can't keep paying out of our own pockets! We will keep letting TP's and any company advertise in future reports. This is all very exciting and with Lukas helping I can sense this Top 5 surveillance Training Provider report is going to be very high quality!! We still need to decide who will be listed on it and ask members for their views. Ted wanted to say well done to you and your team at CPD for all the hard work time and effort you have put into producing the report interesting read and you brought to light some companies I had never even heard of. Also to say that like has already been said you can't please all the people all the time but you and your team strive to push up the standards in our industry and for that I take my hat off to you a very worthy cause keep up the good work. Alex, thank you for your kind words! We are now approaching 1500 readers in 4 days! Don't know what has happened since this morning and a Training Provider must have given the good news via newsletter but we are now up to 2028 downloads in just 4 days!! We were also about to add Ronin Concepts on the TP report but they failed to respond to our email. They have been in the top 20 easy for the past few years but whilst we were conducting research we were told they had their ELCAS status removed by the MoD. Post course support was very poor according to the people we spoke to. Same goes for G4S, guys were promised jobs only to find being sent on static guarding jobs so that the TP could "fulfil their obligations". How many TP's ensure that each candidate on their course covers and is assessed in every single role within a CP Team (including Ops support). VIP/PES/SAP Driver, PPO, TL, 2iC, CST, RST, Team Medic and Ops Control. Most courses from what I hear choose the more senior guys on the course as the TL whilst the less experienced course members are just drivers for the duration of the course. Hugely insulting and unprofessional meaning those guys miss out on the fundamentals of being a CPO. Every candidate should plan a CP task, including the writing and delivery of his Task Orders, the execution of the task and the debrief as many of our graduates have found that they are placed in to a command position (TL or 2ic) very soon after being hired. The SIA course is now almost 10 years old and has had very few updates during that time. The course needs to evolve with the modern day requirements of the role of a CPO. Some providers claim their course is the best because it is in London, but do you need to do a CP course in London in order to get the best possible training? of course not. The problem is , a lot of these companies align themselves with some prominent forums and individuals within those forums who then laud them from the rafters. These discussion points on these forums are then often seen as "fact" my misinformed and very impressionable guys looking to be begin a career in CP. One of the most common statements is "there is no jobs out there, don't waste your money on a course". It's true that the market is saturated, but it is saturated with people who are either ill trained or don't possess the correct background or personal qualities to have much hope of finding employment." Ted your very welcome keep up the good work. 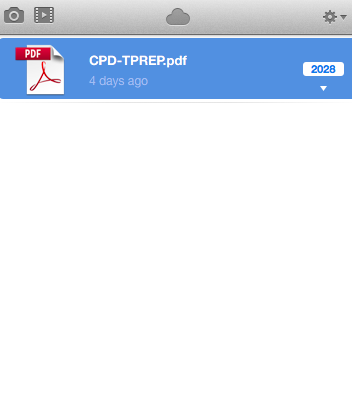 The Top 10 CP Training Provider Report has now been downloaded 3088 times which is just massive.